DLC standalone sets are out! All texture map bugs with the previous versions have been fixed and the sets now look identical to their base game counterparts (except the lights color - stylistic choice, I went with the concept art look). any word on the next update? any progress that was made? something? For now the update is on indefinite hiatus. I'm still waiting on word back from smarteck on texture permissions. He's been off the nexus for a while now, which is the only way I know of to contact him. hello, can i install this mod after i have installed a lot? based on the mod description, if all i need to do is to drag the DLC folder into the Mass Effect DLC folder, why do I need the Mass Effect Explorer? 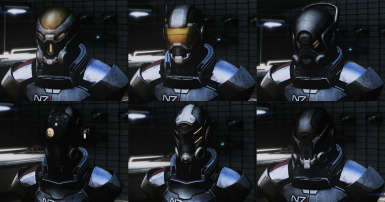 Is there any known way to import even a single one of these armours to Mass Effect 2? 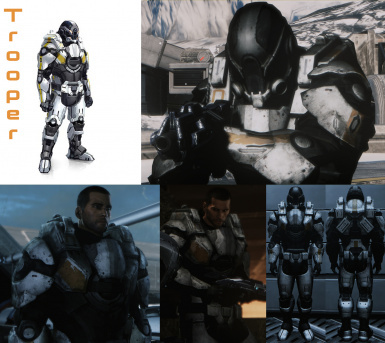 That game really needed some cool Cerberus armours since you actually are one of them. 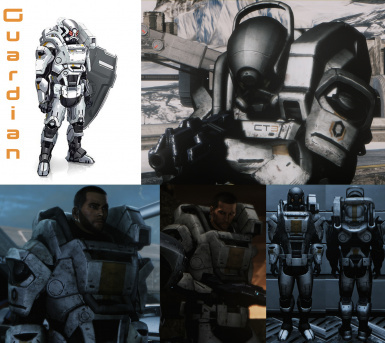 By the way, on the topic of ME2, do you know how to remove the helm from the Cerberus Assault Armour? After all these years I can finally use all those sweet Cerberus armours. Thank you so much, you literally are a legend! Really love this mod! I never thought this was possible in the first place as I've been looking for something like it. BTW, why do the glowing eyes of the helmets sometimes appear pixelated? The DLC Standalone works well! Thanks! 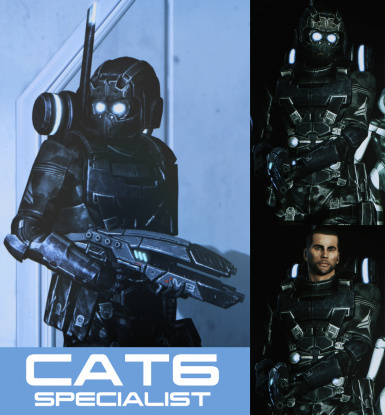 But the bonus CAT-6 Specialist Armor does not, unfortunately. The textures are all messed up for me. 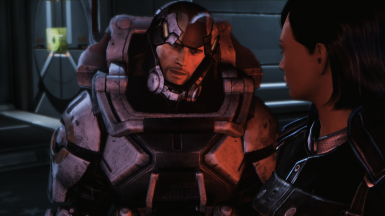 I've installed both the .mod and the textures using ME3 Explorer. 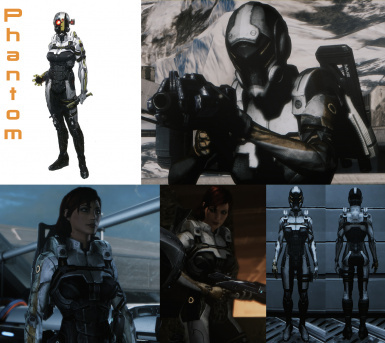 Which release of ME3Explorer did you use? Version 3.0.0. Which is, I guess, the last time I updated my ME3 Explorer. Is that the issue? 1. I ran the .mods via the mod tool first before running TPF tools. 2. Upon running TPF tools, I analyzed the textures first. It found 9 valid out of 9. However, when I pressed 'install valid', only 6 installed, for some reason. I had to do it again to install the last three. Could be you have a DLC mod that is overriding the changes made, and you need to rebuild the texplorer tree to make sure the textures get properly overridden across the board. Test it without the DLC mods to see if any of them are causing the issue. If that doesn't work then I'm at a loss, sorry. Oh wow, that worked! Thank you! Yes, I had to rebuild my ME3 tree all over again, but that solved everything! Thanks again! I've always wanted to play with that armor ever since I saw it. Thank you! Awesome ! I'm really impatient about the texture uptade. But even withouth they look perfect. Thanks a lot for you'r work ! You're doing gods work's. 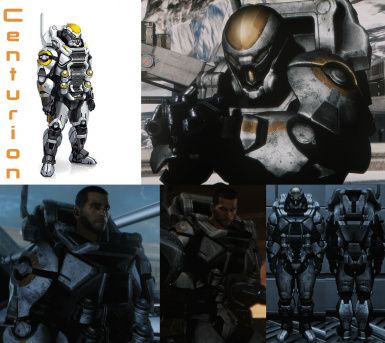 I always wanted to have their assault armor. I had that small idea. If you get someone to do textures. 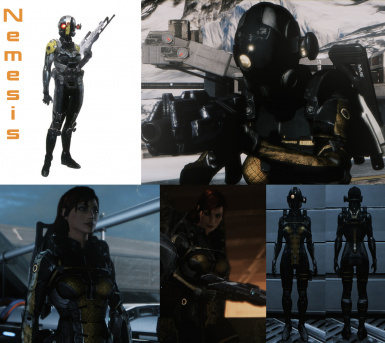 I think it could be nice to have a re-texture were it has the Alliance or N7 color scheme with the Cerberus logo scratch out and replaced with a N7 or Alliance logo homemade . 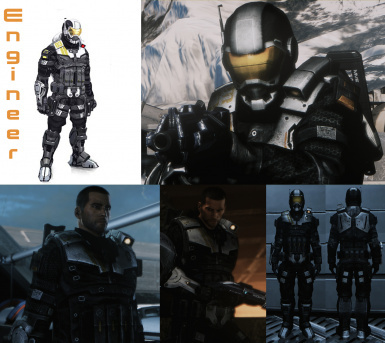 Like some sort of Cerberus Traitor or Outcast.I hate Cerberus but their armors are amazing. Way better looking than the Alliance one.